Our last day in Toyo. Up early: Breakfast at 9 am. We sorted accommodation in Sapporo (Ino's Place from Lonely Planet) with the help of the friendly staff at our hotel, checked out, and went in search of money, having failed to withdraw at any of the 5 different ATM's we'd tried (doesn't recognise our Visa cards, not a problem we had anticipated - we can pay with them, but apparently not withdraw money with them). Finally found one in a 7-11 which could (yes, there are also Starbucks, MacDonalds, Shell petrol ... and Hennes and Mauritz). 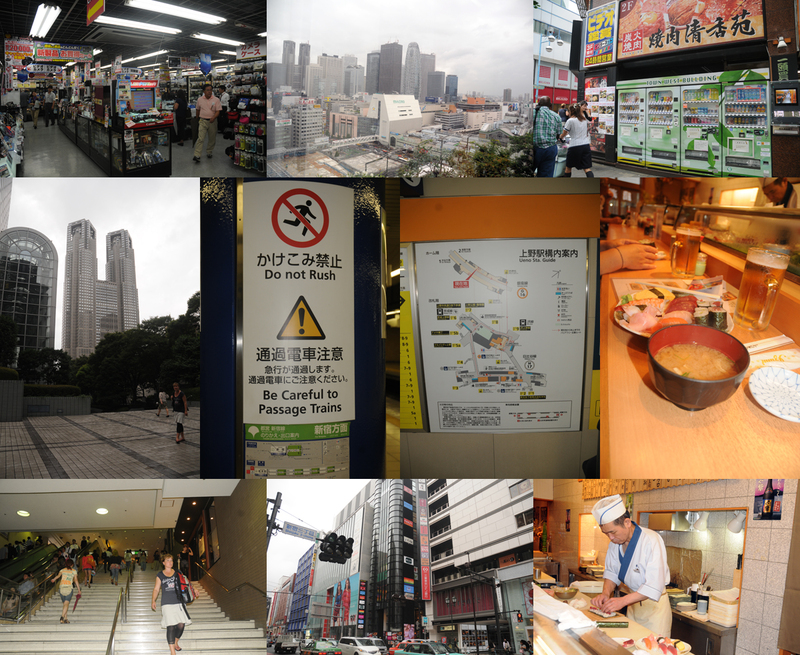 From there we took the metro to Shibuya. Shibuya is one of Tokyo's business - and pleasure - districts and apparently 3 million people pass through the station every day. With all those skyscrapers, we can believe it. We failed to find any souvenir shops - not even a postcard. But we did find a rather nice lunch restaurant where we ate excellent sushi. The camera shops were the largest we have ever seen and the huge department store sold Royal Copenhagen porcelain. It rained but nothing like the 80 cm which has deluged western Japan from the Typhoon which is the reason for us having to take the night train in stead of the ferry to Hokkaido. Our train for Sapporo left from Ueno station. We arrived using two metros 2 hours early so we could visit the historic park (Tokyo's oldest). Fine temples and a couple of lakes choked with lotus and apparently devoid of birdlife. Also a very sad cat. The station is huge, though only the third largest we have visited and had a massive concourse with restaurants and "picnic basket" shops to prepare for your travels. 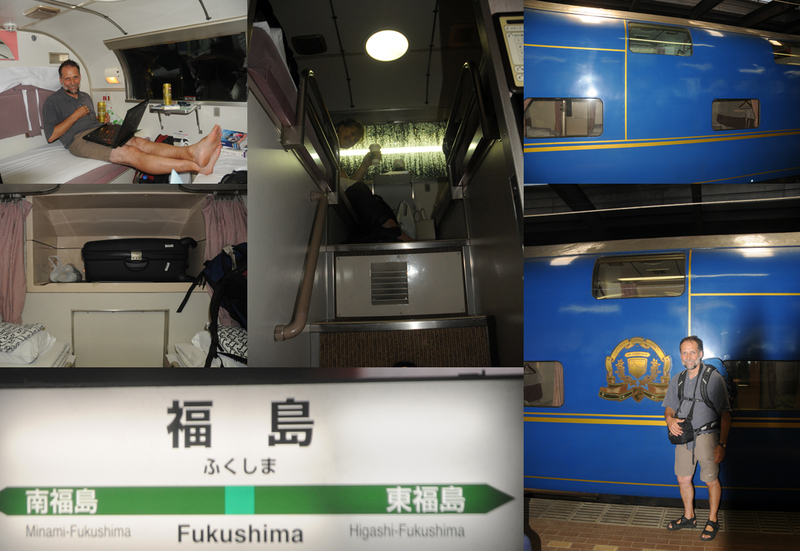 Well supplied with goodies, we found our platform, and then carriage and first floor compartment suitably equipped with duvets and kimonos. It is already dark at 7 pm, so no birding or scenery from the train, which passe4 through Fukushima, about 70 Km from the reactors, and 20-30 Km inland, so no sign of tsunami damage. The window of our compartment was made of curved glass, so it was impossible to use binoculars.